Most people believe that memory decline is a normal part of aging, but this is a myth. Memory tends to slow with age like other functions, but decline in the ability to remember things is not a normal part of the aging process. It’s important to understand and recognize the difference. populations and hearing complaints of memory loss, forgetting names, and having difficulty finding words is, “Is this normal?” As people get older, these experiences become frightening. Americans worry that these are signs of one of the greatest fears that they face as they age: losing their mental capacity (Charlton Research Company 2005). The prevalence of dementia in North America is expected to rise by 35 percent from 2007 to 2050 (Brookmeyer, Johnson, Ziegler-Graham, and Arrighi 2007). Projections have health professionals and research organizations working hard to develop methods of assessment and early interventions, designed to detect and slow the progression of cognitive decline and diminished functional ability. The question remains: Is memory loss, difficulty concentrating, or other noticed change normal? Executive functioning—commonly known as higher functioning (the ability to sort and categorize information, and problem solve). The normative process of the aging mind is something of debate in the medical profession. But there is a foundational understanding of what are normative cognitive changes and what are warning signs of greater decline to come. The truth is, most of us do not experience cognitive impairment as we age—we experience cognitive slowing. As people age, there are detectable changes in the brain. Its weight declines by 10 percent by age eighty, blood flow diminishes, nerve conduction slows, and nerves experience cell death (Patel and Holland 2012). Cognitive abilities decline gradually with these changes, but tend not to affect overall function or activities of daily living. (late seventies and early eighties) is our ability to think quickly (processing speed), and our numeric ability such as paying bills and calculating tips (Hedden and Gabrieli 2004). can expect to take more time to think things through, spend more effort learning, and occasionally have difficulty remembering something, but eventually these tasks are completed. Impairment in whole domains of cognition, even with adequate time and assistance—such as being unable to remember familiar things, having difficulty with planning or problem solving, not being able to communicate or understand words—is not normative aging. Impairment in these domains however does not necessarily mean the person is experiencing a degenerative disorder. The severity of the impairment (mild or severe), the onset, rate, and precipitating factors all play a significant role in diagnosis and treatment. Diagnosis of cognitive impairment. With the transition from the Diagnostic and Statistical Manual of Mental Disorders, fourth edition-text revision, to the Manual’s fifth edition (DSM-5; APA 2013), cognitive decline has been streamlined into mild and major neurocognitive disorders. These diagnoses come with subtype categories that include impairments consistent with the neurodegenerative diseases, such as vascular dementia and dementia of the Alzheimer’s type, as well as impairments consistent with other diagnoses, such as traumatic brain injury, and substance/medication-induced neurocognitive disorders. stable, or even improve (Patel and Holland 2012). When assessing for specific diagnosis, medical professionals often use cognitive screeners that assess functioning in most of the cognitive domains mentioned. These types of screeners could include the Mini Mental Status Exam (MMSE) or the Montreal Cognitive Assessment (MoCA). These are “normed” tests, meaning they have been applied to a wide range of the population and have a particular cutoff point that demonstrates impairment greater than what we would expect from age-related decline. Although these screeners assess a range of domains, they give a global score for overall cognition. For example, an overall score of twenty-five or lower on the MoCA is concerning, because the vast majority of people score a twenty-six or above (unless they have an education below eighth-grade level). Depending on the level of impairment and corroborating information, a diagnosis may be made based on a screener, or additional, more comprehensive testing may be necessary. known as “mini strokes”—learning disability, and lack of education, to name a few. Cognitive complaints are also a common side effect of many medications and whole treatment protocols, like chemotherapy. (Brookmeyer et al. 2007), dementia’s current prevalence rates are lower than most people expect (18.9 percent of the population aged seventy-one to seventy-nine, 37.4 percent of the population aged ninety and older) (Plassman et al. 2007). When seeking consultation with medical providers on cognitive complaints, patients as well as their care providers (spouses, children, concerned friends) should provide information on the onset (timing) of complaints, recent stressors, historical and recent injuries,current medications, lifetime substance use, family history of cognitive impairment, and any functional complaints (problems driving, paying bills, or preparing food). It is sometimes helpful to write these down before meeting with a medical professional. If a screener is administered, it is important to know that it may detect cognitive impairment, which clients may have already detected themselves. But it cannot provide the diagnosis by itself. As mentioned before, many different diagnoses can result in cognitive impairments that are not dementia and may fully resolve, improve, or at least remain stable. Carilyn Ellis is a psychology intern at the Salt Lake VA Medical Center, specializing in Palliative Care,Geriatric Home-Based Primary Care, Outpatient Mental Health and Neuropsychology. She has a master’s degree in clinical psychology and is a Psy.D. (doctor of psychology) candidate at George Fox University in Newberg, OR. She can be reached at cellisalaska@yahoo.com. Cognitive Impairment and Normative Aging was recently published in the Spring 2014 edition of the CSA Journal. A living will is a legal document that indicates what medical treatments and life-sustaining measures you want or don't want. If the time comes when you can’t make your own decisions, a living will can be valuable for your family and doctor and help ensure your preferences are honored. Approximately 80 percent of Americans fail to share their wishes for their end-of-life care, leaving family members and doctors to decide what life-saving measures to perform. Not only can this result in family quarrels, but you may receive care that is more aggressive than you desire. For example, CPR (cardiopulmonary resuscitation), which has a low success rate, can be violent and leave patients in worse condition. Not only does it make sense to write a living will as you get older and become increasingly prone to chronic illness, but it is also wise to understand the treatment options and their risks. 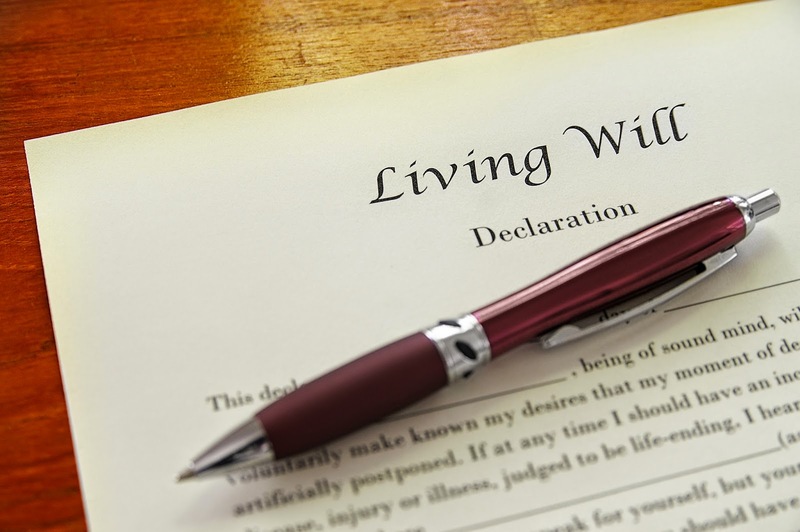 A living will is a legal document that indicates the types of medical treatments and life-sustaining measures you want or don’t want, such as cardiopulmonary resuscitation (CPR), feeding tube, and mechanical breathing (respiration and ventilation). In addition to a living will, people are also encouraged to have an advance directive known as a medical power of attorney (POA). (See “Assigning Medical Power of Attorney is Both Difficult and Easy,” October 2012, Senior Spirit). A medical POA is a legal document that designates an individual—referred to as your health care agent or proxy—to make medical decisions on your behalf if you’re unable to do so. Like the POA, the living will becomes a tool to help your family and medical staff determine the life sustaining measures and medical treatments to pursue at the end of your life if you are unconscious or not capable of deciding on your own. In addition to executing a living will and medical POA, it’s important to discuss your beliefs and wishes with family members and your doctor. If they know beforehand what measures you want taken—and, just as important, why—when the time comes, the process can be easier and less stressful for everyone. (For where to find forms, see sidebar. How important is it to be independent and self-sufficient? What would make me feel that my life was not worth living? Do I want treatment to extend life in any situation? Or only if a cure is possible? How might my decision about life-sustaining treatment be different if I was 50, 70 or 90 years old? Would the treatment lessen my suffering? What kind of burdens and side effects will the proposed treatment impose? What are the potential benefits and risks associated with CPR, a feeding tube, ventilation, etc.? When a person stops breathing or the heart stops beating, medical personnel administer CPR, which can consist of two stages: chest compressions (forceful pressing on the chest to stimulate the heart) and artificial respiration (mouth-to-mouth rescue breathing). In addition, personnel may use electric stimulation and special medicines to resuscitate a stopped heart. CPR can help keep oxygenated blood circulating through the body, which can help prevent brain and organ damage. Without CPR, a person is likely to become unconscious almost immediately and will die in 5-10 minutes. However, when a patient has an advanced life-threatening illness (such as late stages of cancer) and is dying, CPR may not provide any benefits (Family Doctor). Additionally, the survival rate after CPR is only 15 percent, but it decreases to 2 percent for the frail and elderly (Allina Health). If successfully, CPR may result in a sore chest, broken ribs or a collapsed lung, especially in elderly patients with fragile bones. Though they may survive, those especially who are older and/or frail may have a drastically reduced quality of life, suffer from brain damage or other health complications, and may require ongoing medical support (e.g., ventilator). Mechanical ventilation. A person who is unable to breathe sufficiently may need to have a tube inserted down the nose or throat (referred to as intubated), or surgically through the neck, into the trachea. This connects to a ventilator (breathing machine), which breathes for the patient. However, for those with certain lung and heart diseases, the likelihood of resuming normal functioning after removal from the ventilator is low. Intubated patients can’t talk and may need medicine to keep them comfortable. Some patients who survive may need to be on a breathing machine in the intensive care unit (ICU) for a while. Bacteria in the tubing can result in pneumonia, and patient immobility can lead to psychosis, skin breakdown and progressive weakness. Nutrition and hydration assistance. To keep a patient alive, medical professionals will automatically supply the body with nutrients and fluids intravenously or via a feeding tube. If you are seriously ill or close to death, life-sustaining treatment will not be stopped unless spelled out in your advance directives. Permanently unconscious patients can sometimes live for years with artificial feeding and hydration. If food and water are removed, death will occur in a relatively short time due to dehydration, rather than starvation. Such a course of action generally includes a plan of medication to keep the patient comfortable. Admission to the ICU. The ICU is generally meant for a person who is reversibly critically ill and who desires full resuscitation should cardiorespiratory arrest occur. But patients can suffer from isolation, as visitors are restricted, and immobilization, as well as disruption by light, noise, diagnostic tests and therapeutic interventions, which are uncomfortable and potentially painful. A frail patient is prone to develop ICU psychosis. Including a do-not-resuscitate (DNR) order in your living will may only prevent CPR, not other life-saving measures. Some people add a DNI—do not intubate. An alternative that is gaining popularity is AND—allow natural death. An AND advises doctors to offer only comfort measures, because any other aggressive treatment, such as intubation, may only prolong suffering. AND also conveys a positive, and perhaps gentler, message to those who must decide whether to continue life-saving measures for their loved one. If your illness is terminal, you can also request in your living will that you want palliative care, which focuses on quality of life and dignity by helping a patient remain comfortable and free from pain until life ends naturally. Some living wills encompass more than just DNR or DNI requests by spelling out your thoughts about dying, which can be more helpful to your doctors, friends and family when deciding what kind of end-of-life care you want. One of the more well known is Five Wishes, which goes beyond medical issues to deal with personal, emotional and spiritual concerns. The downloadable form includes questions about how comfortable you want to be, how you want people around you to treat you and what you want your loved ones to know when you’re facing the end of your life. Five Wishes was written by Jim Towey, who worked with Mother Teresa and was inspired by her care and concern for others. His organization, Aging with Dignity, is a national nonprofit that aims to affirm and safeguard the human dignity of individuals as they age and to promote better care for those near the end of life. He introduced the Five Wishes will in Florida in 1997, and a year later, to the nation. Today, Five Wishes meets the legal requirements in 42 states, and millions have used the form to specify their desires. Write Your Living Will Now to Ease Burdens Later was featured in the August 2014 Senior Spirit newsletter. Family fights over the care, legal, and financial issues of aging relatives, can have disastrous results. Using a skilled mediator can make all the difference in achieving peace, harmony, and resolutions. thing for each other, but also how to hurt each other. When caregiving is involved and financial issues come up, it can bring out either the best or the worst in families. Emotion is deep and old resentments can surface. Some families turn to dispute resolution with an outside professional to assist them when they get so mired in conflict they cannot find their way out. choices each family made and the effect on the outcome of the conflict. Three brothers are engaged in battle over their mother, Margaret’s, living situation. She has severe dementia and can’t care for herself independently. She has run out of money. Her only remaining asset is her home and she wants to stay there. The oldest brother, James, seized power over her finances from the middle brother, Paul. James convinced his mother to appoint him the power of attorney and the agent on the healthcare directive, and displaced Paul, who had always been on both documents. Margaret wasn’t competent to sign anything when James made this move, but he didn’t seem to care. That infuriated Paul. Little brother Joe was somewhat passive, but sided with Paul. The three never got along very well, even as children, and their communication did not improve as they grew up. They largely avoided one another until now. Without communicating with his brothers, James decided to move Margaret to an assisted living facility that cared for people with dementia. It would be in her neighborhood, she would have her own room, and her house would be sold to pay for it. A deposit was paid and the move was set. the attorney that she would get paid when the house was sold. Margaret’s long-time estate attorney, not the guardianship lawyer, suggested mediation. She urged the siblings to stop upsetting their mother and each other by using a neutral person—a mediator—to help them try to reach some agreements. on litigation that pits brother against brother. No one is likely to come out a winner, regardless of what happens in the case. Who’s In Charge of Dad? Three sisters were embroiled in a conflict over their father’s care. He was frail, needed help at home, was easily confused, and thought he was somewhere else most of the time. One of the sisters lived nearby and the other two sisters lived far away. They didn’t trust the sister nearest their father, and had reached the point of not speaking to one another. 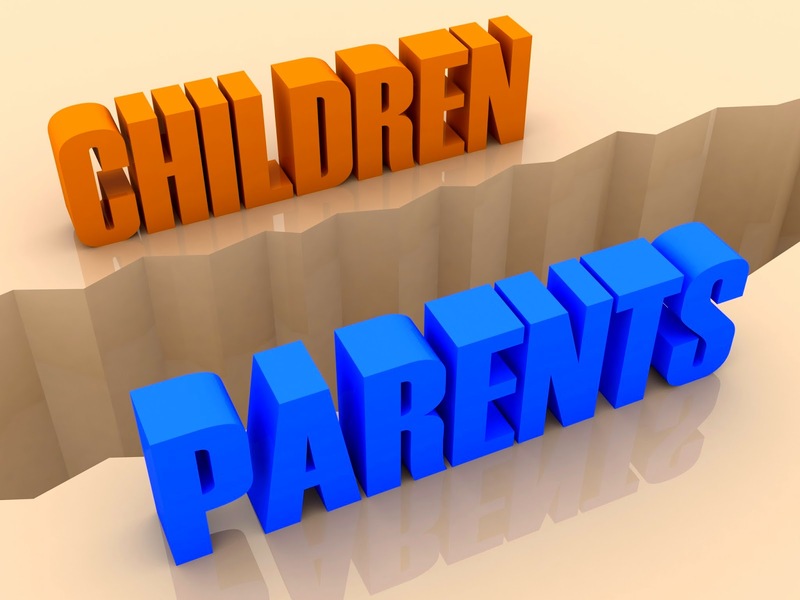 A professional handling their day-to-day finances understood the conflict among the siblings and she suggested mediation. Surprisingly, all three sisters agreed to mediation. Four sessions took place over the phone, as all were distant. to clear up misunderstandings. They made rules with the mediator’s help, and when they started to follow them, the trust they needed was re-established. They came to many agreements about how to best take care came to many agreements about how to best take care of their father, and finally reached a level of peace that had not been present in their dealings with each other for years. Their underlying mistrust, some of it going back to childhood, was not addressed, as mediation is not therapy, but they were able to work together to make the quality of their father’s life better. now the daughters could look back on the time they cared for him during what turned out to be his last months, and knew that they had done their best for him. Mediation had enabled them to work together for their father’s benefit and for theirs as well. Family conflict is not at all uncommon when it comes to dealing with aging loved ones. Their old hurts, resentment, and emotional dysfunction emerge when they have to come together over the care or finances of an aging parent. Sometimes, they cope with not getting along by avoiding each other completely. This can go on for years. When a crisis happens, such as hospitalization of a parent, they are forced to not only see each other but make decisions together. avoid having the situation escalate to a legal fight. Unfortunately, litigation seldom works to benefit families in conflicts like this. Often, people engaged in these battles do irreparable harm to each other in the process. It’s a lose-lose ending. Mediation is a voluntary process involving a trained, neutral mediator, and at least two parties in dispute. The parties meet, whether in person, by phone, or Skype. Mediation is a lot more than just talking things over. Mediator training is extensive, covering both the art and science of how the process works. A minimum of forty hours of training with both dispute resolution theory and mock mediation sessions is standard in the field. 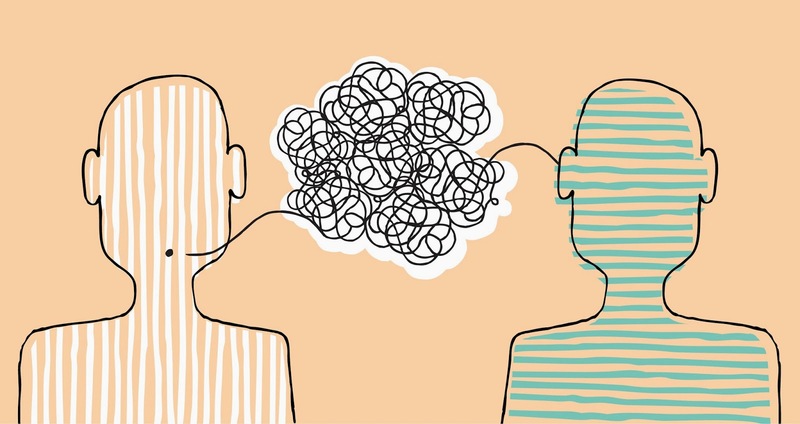 Mediators must have a basic understanding of how conflict works, how to de-escalate it, and how to ensure that all participants in mediation are heard. Mediators develop skills in drawing out the underlying emotions associated with conflict. They also use creative approaches to help the parties in conflict devise ways to resolve their disputes. Many mediators have much more than forty hours of training. Some states certify mediators, but in most states there are no formal licensing requirements. During mediation, the parties describe what they want to accomplish and the mediator takes on the task of making sure that every party at mediation has a chance to suggest possible solutions. The mediator leads the discussion and asks questions. The parties make their own decisions. The end result of a successful mediation is a written agreement or a set of agreements. Each person present has a voice in what happens. People do not have to like each other to reach agreement, but they often have to give up something to get something. The mediator does not judge who is right or wrong or what the parties should decide. Rather, the mediator is a guide, referee, source of suggestions, and creative neutral party who finds common ground. The mediation agreement is a contract that all parties sign, and it is enforceable in court. Apart from the written mediation agreement, all aspects of the process are confidential. What happens in mediation stays in mediation. who works with older adults should have solid working knowledge of common areas of conflict concerning seniors and families, and know the community resources they can use to help solve their problems. Legal, healthcare, and emotional health issues may come up and it is important to find a mediator with expertise in one or more of these fields. Some mediators work in a team approach, called co-mediation. Especially for larger groups, this can be very effective. Two mediators can see more problems from more angles and offer better suggestions than a single mediator can. independently on a fee for service basis. Private mediators charge by the hour, often at rates similar to an attorney’s fees. The cost can be high for several sessions of mediation in a complex matter. However, it is certain to be much lower than the cost of any litigation. If you think of it as a preventive strategy to avoid paying ongoing attorney’s fees and court costs, mediation is a clear winner with excellent chances of success. Carolyn Rosenblatt has more than forty years of experience in her combined professions of nursing and legal practice. She has worked extensively in geriatric caregiving as well as legal problems of aging, and is co-founder of AgingParents.com, a resource for families, located in San Rafael, California. She blogs weekly at Aging Parents on Forbes.com, and is the author of The Boomer’s Guide. Mediation: Finding a Way to Resolve Family Conflicts was recently published in the Spring 2014 edition of the CSA Journal. As a young girl, I had always enjoyed being around older adults. My brothers and I loved going to grandma’s house because we knew that something exciting was going to happen there. Strange, I know, but Grandma El was in a class by herself. Grandma’s house was the best! She had all kinds of pictures, whatknots, stories to tell, and her circle of friends were down-right funny. The laughter and joy of them telling old stories of “you remember when?” would fill the room. I can remember imagining myself being right there with them on their journey, as they told their stories. Before you knew it, the house was full of friends, family and food. OMG, the food was great! Even as an adult, I still find myself socializing and leaning more toward seniors. Volunteering in senior centers when I find the time is a must. It’s something about the wisdom and knowledge they have to share that I just can’t get enough of. My mother is the same way. She has been a Private Duty Nurse/Caregiver and is well-respected in the community. She is the only woman I know that has a waiting list of potential employers ready to hire her as a Private Duty Caregiver. No kidding around! They want “Bobbie Street” to take care of their parents. She has made lasting impressions on every person she has met over the years. I watched her walk, how she talked to people, and how she cared for whomever she came into contact with, and I modeled after her. As the years went by, I often thought of how to turn this into a family business. Yes, I’m my own little Duck Dynasty. Taking something your parents started and pushing it to the next level. Now, I’m nowhere near the millions Phil Robertson is bringing in but the concept is there and it’s in the stages of something great. So I completed LPN school in 1999, Registered Nurse degree in 2002, worked several years in Assisted Living which led to my provisional licensure as a Category II Specialty Care Assisted Living Administrator, and finally the Certification as a Certified Senior Advisor, which sealed the deal. Now, since the necessary tools are in place, it’s time to start this business. As of today, I am the owner of Divine Help In Home Care & Assistance, LLC. “A Ministry of Helps for Senior Care”. I knew eventually I would have to make the decision to leave my current position as Program Director of a local non-profit to fulfill the calling and destiny in my life full time. It was not an easy decision, to step out on faith and leave sure ground. I think I cried the first six months of leaving my job and remember thinking what have I done? Finally, the tables turned in my favor and I began to get referrals, clients, and formed a community and networking partnerships in rural Northeast Alabama. Truly, I would not take anything from my journey, thus far. Working with seniors and the aging population is more ministry to me and not just a job or career. Everybody can’t do this. It takes a special person to work with special people. We all have been given a gift and I have been given the gift of helps and love every minute of it. Some of my friends ask me, “Girl, how in the world can you do that?” and my reply is, “I’m working in my gift”. It’s easy to do what you love and what you have been gifted to do. My words of advice is to cherish and love the senior population because they have paved the way for so many of our hopes and dreams. Honor them for their sacrifices and you will be honored days to come. Give to them and it will be given unto you. There is so much wisdom packed in their spirits and you would be crazy not to draw from those deep wells and reservoirs. Oh what a joy it is to help seniors and families. Their eyes have seen so many hills, mountains and even valleys. Take advantage of every opportunity they give you to learn and draw from them. So, what led me to CSA certification and education? In our line of work, education and networking is key to the success of our business and maintaining clients. I have held this certification since 2011 and it looks great on my resume or when I’m speaking to potential clients who want to know more about my background. Even with 20 years of experience in nursing and caregiving, this certification only expanded my knowledge about senior care, Social Security, Medicare benefits and how to help with primary caregiver issues. The support of the staff and website tools are excellent resources for my clients and necessary for the growth of my business. I will continue to hold this certification and encourage others in my field to do so as well. "A Ministry of Helps for Senior Care"
Nakia was featured in the July 2014 Senior Spirit newsletter.